Apple is developing its own microLED panels. But while we’ve known that news since March, a new report suggests their use could stretch far beyond the Apple Watch. Apple has plans to develop first-party MicroLED panels for both small- and large-sized devices, DigiTimes Senior Analyst Luke Lin wrote in a new report. Previously, rumors of Apple’s MicroLED development mostly pointed toward use in Apple Watch devices. Lin says Apple is currently preparing two sizes of microLED panel: a 1.3- to 1.4-inch panel for Apple Watch devices and a 0.7- to 0.8-inch panel for the aforementioned AR wearable. Apple is also developing larger-sized microLED panels for use in products “sized much larger than its MacBooks,” the analyst added. Though it’s not clear if Lin is referring to the actual display or the OLED panel used in the Touch Bar on newer MacBook Pro models. When Will We See MicroLED? Based on the analyst’s upstream supply chain sources, DigiTimes forecasts microLED panels hitting the market by the second half of 2018 or sometime in 2019. The large-sized panels could be produced by 2019 or later. On the other hand, Lin said there’s no production schedule for an AR device. 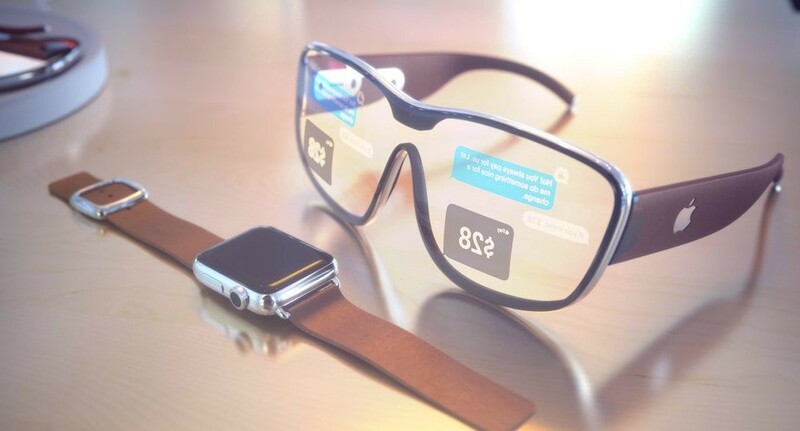 But a plethora of other rumors about an upcoming Apple AR wearable could point toward a market release by 2020. MicroLED is a display technology similar to OLED, but it utilizes different light-emitting compounds and carries a number of proposed advantages to current LED-based displays. For one, microLED is believed to offer better brightness, contrast and viewing angles than OLED, and could be used to make devices much slimmer than current screen tech. Similarly, while OLED panels don’t use as much power as LCD-based displays, microLED sport even better power efficiency. On the other hand, MicroLED is a nascent technology — and it’s currently incredibly expensive. Lin predicts that the cost of a microLED panel is about 400 to 600 percent higher than current OLED panels used in Apple Watch models today. Because of that, the DigiTimes analyst believes that Apple will reserve MicroLED displays for “high-end” or premium Apple Watch models. Though he didn’t specify, that could hint at use future iterations of the Apple Watch Edition. In 2014, Apple acquired microLED startup LuxVue to bump up its research in the area. Since then, rumors circulated that Apple would eventually bring the new display technology to its flagship wearable. Those reports also suggested that the firm was working with TSMC. And last month, Bloomberg reported that Apple was conducting its first-party microLED work at a secret facility in Santa Clara, California. That report suggested Apple — in its ever-increasing push to stop supplier reliance — will eventually replace Samsung-made OLED displays across its entire lineup. The timeline for such a switch is unclear, but Bloomberg predicts it will likely be around two years for MicroLED to show up in Apple Watch models, and up to five years to be used in iPhones.